See how BMW Z4 Chrome Exhaust tips add the finishing touch. 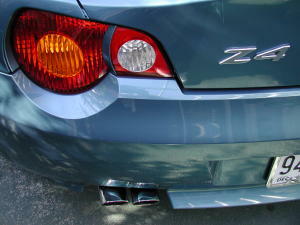 Official BMW Z4 Chrome Exhaust Tips for model year 2003 through 2005. 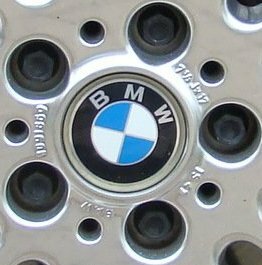 Give your Z4 a finishing touch of class with these easily installed chrome tips. Set of two tips. Select 2.5 or 3.0 on check out. Official BMW Z4 Chrome Exhaust Tips for model year 2006 through 2008 Z4 3.0si. Brushed (mat finish) Exhaust tips. Slip on installation. Sporty look. Fits all 2006 through 2008 Z4's, 3.0i and 3.0si. Set of two tips. 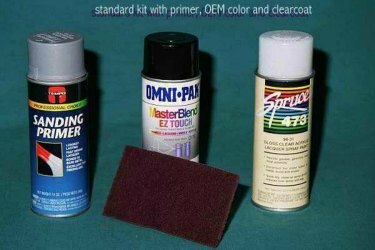 Here is an alternative to the OEM BMW Z4 roadster (2003-2009) Replacement Top at a lower price. Same quality and premium fit. The available colors are Black, Beige, or Gray. Some additional custom colors are available for an additional $250. CLICK on the title or picture to see the available color options. 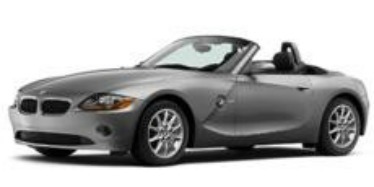 NOTE: The BMW Z4 Window Seals are not included with the purchase of the top. The lower rubber attachments from the original can be reused on this replacement top. Please call us with any questions. Here is an alternative to the OEM BMW Z4 Roadster (2003-on) Replacement Headliner Assembly at a lower price. Same quality and same fit. Made from Black Twill. Depending on your mechanical skills, this may NOT be a do-it-yourself project. This high quality stainless steel frame will give your "roadster" a finished look. Comes complete with screw caps. 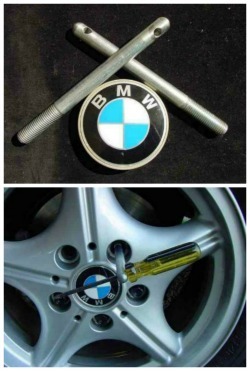 Official BMW part. 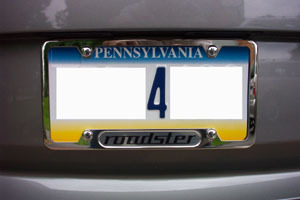 This Official BMW part is intended for vehicles in states that do not require a front license plate. This high quality heavy gauge stainless steel front license plate with the BMW Roundel emblem will give your "roadster" a finished look. Comes complete with screw caps. 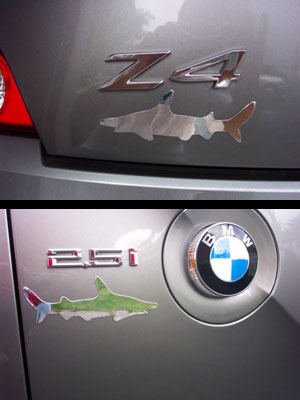 Complete the Z4 Land Shark look with these highly reflective adhesive vinyl chrome look sharks. Right facing now available for those who wish to use under the right turn signal. NOW Available in two sizes, 5.25" and 3.25. Select Size and LEFT or RIGHT facing during checkout.